Dance, move and feed your soul with varied and beautiful music from around the world. This is a space to move and dance together and nourish body, heart, mind and breath. No need to have ‘dance experience’, there are no moves to learn. 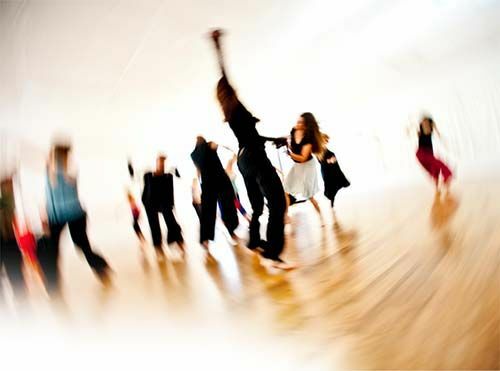 Both these practices are designed for both beginners and experienced movers and sessions are held by fully qualified teachers of Movement Medicine and Dancing Freedom. More than anything this is a space to simply dance – juicy, tender, hearty, gentle, energetic, still, wild, vulnerable, joyful, sad, celebratory dances and many more … at your own pace. We will offer approaches from Dancing Freedom and Movement Medicine that will help you access the wisdom, vitality and creativity of your body and imagination. These are ways of experiencing whose power cannot be accessed through the intellect alone or indeed alone, we need companions along the way to feel this greater sense of wholeness and connection. Movement Medicine is a meditational and uplifting practice that gives us direct, embodied experience of the dance of life that’s going on inside us and all round us. It is rooted in ancient wisdom and modern understanding of how change happens. Whatever your level of experience, age or condition, conscious movement practice is a force for creative expression and mindfulness in day to day life. It’s where movement, meditation and energy converge – and movement becomes ‘medicine’ – a curative power! Dancing Freedom is a guided moving meditation practice inspired by the five elements: earth, water, fire, air and ether. It’s an invitation to come home to the reality and magic of our very human life. We all dance, every time we take a breath. It’s something everyone – men, women, children and elders can all do and done together, as a community it builds joy, ease and confidence for all. IT FEELS GOOD. It feels like FREEDOM. IF YOU HAVE NOT BEEN TO YANLEY COURT BEFORE: continue on Yanley Lane (travelling South) and go under the A370 dual carriageway – almost immediately on the right is a lane rather unpromisingly labeled Long Ashton Business Park. Continue along this lane pat some buildings and bending round to the left – keep going and Yanley Court is at the end (a building on its own) with plenty of parking.